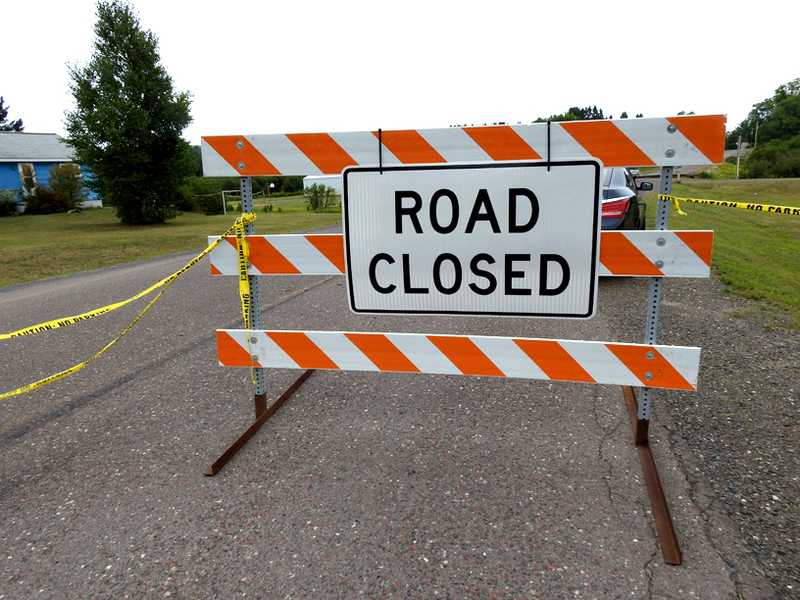 Garrett Neese/Daily Mining Gazette A road closure is seen Tuesday at Houghton Canal Road near Oskar. The road is one of 10 with impassable sections in the county. RIPLEY — The Houghton County Road Commission is making progress on repairing road damage, although some work will remain for next year, said Kevin Harju, the county’s road engineer. In the past week, the commission met with the Federal Highway Administration (FHWA), Michigan Department of Transportation (MDOT) and Federal Emergency Management Agency (FEMA). In those meetings, the county was informed it will be eligible for up to $500,000 in hazard mitigation funding, Harju said. Between FHWA and FEMA, about $10 million of work will be done this year, Harju said. The federal highway money will not be available until February, Harju said. Because of that, the Road Commission will have to run those contracts under advance construction. The county has obtained a $4 million loan from the state and is working to get another $6 million. “They understand the urgency to get it done before winter, so that’s promising,” he said. The number of impassable roads in the county still stands at 10. The addition of the five large culverts should help with that, Harju said. Some projects — Paradise Road near Pilgrim River, Mill Hill and Mason Hill — will still be closed for the winter, Harju said. Harju asked motorists to continue to be patient.